A Little Something is a crafts cooperative for refugee women that fosters self-sufficiency through creating and selling homemade crafts. To support our cause, A Little Something relies on friendly, outgoing volunteers to make our sales happen! Volunteers greet customers, share our mission and product knowledge, and complete sales transactions at various craft sale events around Denver. We are looking for volunteers who are able to volunteer occasionally for a 3-5 hour shift at various sales events. Sharing our story with customers. We are particularly looking for volunteers to help from September to December with Winter/Christmas sales, and during the summer months, but help is welcomed all year round. Volunteers may occasionally work alongside and coach refugee participants at sales events. Training will be provided pre-sale and volunteers often work in teams at events. 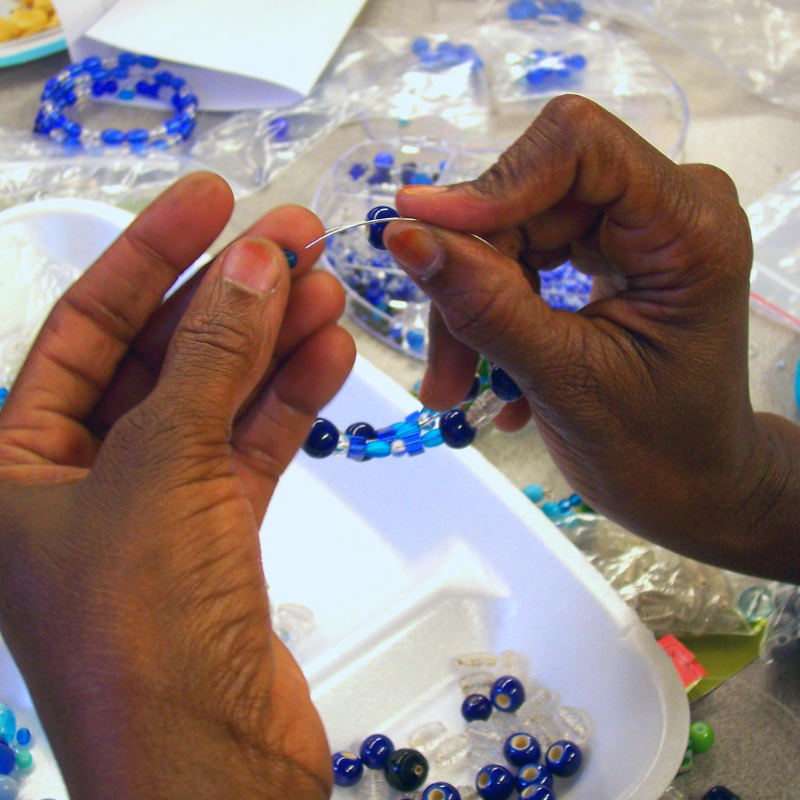 Volunteers are passionate about our mission to empower Denver’s refugee women through this local income generation craft project and share this knowledge of refugees and refugee participants’ stories with customers. The service of our volunteers enables A Little Something to further its work to make a meaningful difference in the lives of Denver’s refugee artisans.